Advance 70 & Selecta – The Complete System and Supplier! For window and door fabricators to prosper in a very competitive market, it has now become far more critical for businesses to ensure that not only can they offer a complete range of window and door solutions, but also when doing so, that fabrication remains as efficient as possible. 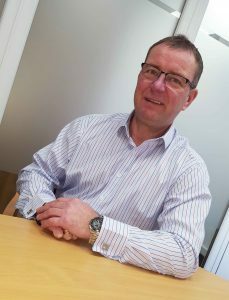 A vital cog in all of this, is making sure you have the right window and door profile supplier and more importantly the right window and door profile system as Selecta Systems Sales Director, Andy Green, explains. I spend many long hours every week, driving the length and breadth of the UK, supporting our sales team and meeting with potential fabricators, discussing and providing solutions on how Selecta and the Advance 70 System can improve their business. I have noticed that there are a number of fabricators who now dual source, which is fine in some instances, but I would ask the question, is it the most efficient and effective solution and in doing so, does it sometimes become a productivity and logistical nightmare? My interpretation of a possible reason why fabricators may dual source are that maybe a certain system house supplier does not supply or meet the full requirements of the fabricators needs, and by that I mean, through the lack of product range offerings or their service and/or support failures. Logistically running two or more profile systems, may require larger stock holding on profiles, ancillaries and hardware, require alternative machinery, tooling and software which can impact on the efficiency, effectiveness and cost of a businesses operation. When dual sourcing profile systems, levels of service and support may also differ, from delivery through to technical and marketing support – with marketing support materials not giving a consistent representation of a business and in-house and site technical assistance not at an expected level because of relations. There are potentially a host of logistical and efficiency nightmares that a fabricator may endure, so the point I’m getting to is that surely ensuring that you have the right window and door profile system and supplier that ticks all those boxes would be far more advantageous? 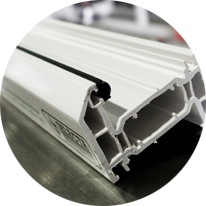 Firstly, fabricators simply expect a quality and versatile PVCu window and door suite of profiles and one that delivers on all fronts. With the Advance 70 System, it is not only certified and tested with PAS 24 and Secured by Design options, but it also allows fabricators to provide a comprehensive range of quality, thermally efficient and stylish window and door solutions to the retail and commercial market. From casement, bay, bow, French, EASi-FOLD and tilt and turn windows through to the on trend flush sash window, which can be fabricated with the existing 70mm frame or encased within the all new 80mm 8 chamber traditional frame for that authentic timber look. The Advance 70 System also allows you to fabricate a range of door options from a residential door, to French, bi-fold, patio, a new range of composite doors and the revolutionary EASi-FOLD doors. The Advance 70 Window and Door System is the complete suite, giving fabricators and installers a broad range of solutions within the retail and commercial market without the need to outsource other profile systems. What is becoming more apparent is that service and support, or the lack of, has a major impact on fabricators decision making when selecting or moving profile system suppliers. When things are not going well, the first areas usually to suffer are the lighter areas of service and support and maybe this is the case with some suppliers. My other interpretation on this is that fabricators become a statistic and just another profile customer and those initial dreams of a glowing partnership turn in to a nightmare as the promised service and support dwindles. Maybe with large investment group led businesses it is just facts and figures and there is no other connection and tie in with a fabricator with faceless figures making decisions in the background. Providing a service and support package that fits the fabricators needs from day one and continues throughout the partnership is vitally important in building up a trusting and rewarding relationship. This is where Selecta are different and unique in the industry. Independent and family owned with an ethos and a set of core values that fabricators can relate to, which certainly bodes well with like-minded owners with similar business models and ethics as ourselves. Service, support and satisfaction are three core values that exude from within Selecta and back up the quality and versatility of the Advance 70 System. Service is key, with on time and in full deliveries backed up by a team who deliver when required by simply returning calls, emails and working together to build up a successful partnership. Then there’s the support element from sales through to marketing and technical support. The support package Selecta provide is one of our great assets and one that continues to grow from strength-to-strength. For instance we have invested in a brand new range marketing support materials consisting of seven retail based individual product brochures to accompany the bold and sleek 44 page full product brochure. We’re also expanding our already strong in-house and on-site technical team, providing a full on service and support package that is the envy of larger rivals. The recruitment of key staff is not the only investment planned within Selecta. With 50 new fabricators joining Selecta and fabricating Advance 70 over the course of 2017, expansion plans are well under way throughout all areas of the business. The growth plans will improve capacity, quality and services with which Selecta provide. Within the first couple of months of 2018 we have already improved productivity and quality within the extrusion through the investment and installation of new chillers with new tooling and more efficient machinery following in the second quarter. Transport, logistics and warehousing also form part of the continual improvement plan with new vehicles, fork lift trucks and an upgrade in our vehicle fleet tracking system, which will improve delivery efficiency and performance. 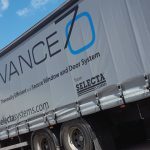 The future is looking very bright for Selecta and the Advance 70 System, at a time where a grey cloud of uncertainty is hanging around on the back of the industry last year being a reported 5-15% down. We had a fantastic 2017, which culminated in Selecta being voted Systems Company 2017 at the National Fenestration Awards with a massive 42.1% of the votes when up against a strong line up of competitors. It looks like last year’s success is already continuing in to 2018, with January and February again producing the goods in regards to the volume of fabricators converting to the Advance 70 System. As I said earlier, it is vitally important that a fabricator does indeed make sure that they have, not only the right window and door profile system, but also the right window and door profile system supplier. This I believe is what is contributing to our success as fabricators recognise the benefits of working with the fastest growing and award winning PVCu System Houses and fabricating a versatile window and door profile system in the Advance 70 System.